ROLE PURPOSE As a key member of the Regional Senior Leadership Team, the Regional Programme Operations Director for East and Southern Africa will take shared responsibility for driving SCI’s vision 2030 and oversee and support Country Offices in the effective delivery of safe programming for children in line with the country strategic plans. QUALIFICATIONS & EXPERIENCE * Significant (ten years or more) senior level leadership and management experience in a large and complex international NGO or organization * Significant experience in managing most or all of the key elements of Operations and Humanitarian systems and areas: proposal development, planning, quality assurance, award management, logistics, emergency response, preparedness and capacity building * Substantial knowledge of international development systems, institutions and donors, and of procedures, accountability frameworks, risk management and best practices * Robust experience in developing and implementing organisational vision and strategies * The highest level of expertise in representation and negotiation with governments/donors and international agencies * Demonstrated ability to thrive in a matrix management environment. Highly developed interpersonal and communication skills including influencing, negotiation and coaching. * Solid project management skills related to organisational development projects and international, cross-functional teams with a proven history of delivering results. * Excellent facilitation and team building skills. * Experience of building personal networks at senior levels, resulting in securing significant new opportunities for the organisation. * Experience of solving complex issues through analysis, definition of a clear way forward and ensuring buy in. * Models international development best practices, and the leadership behaviours outlined in Save the Children’s strategy and policies. 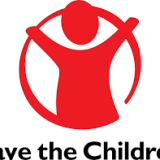 * Ability and willingness to change work practices and hours in the event of major responses including travelling at short notice * Commitment to Save the Children values. Additional job responsibilities The duties and responsibilities as set out above are not exhaustive and the role holder may be required to carry out additional duties within reasonableness of their level of skills and experience.